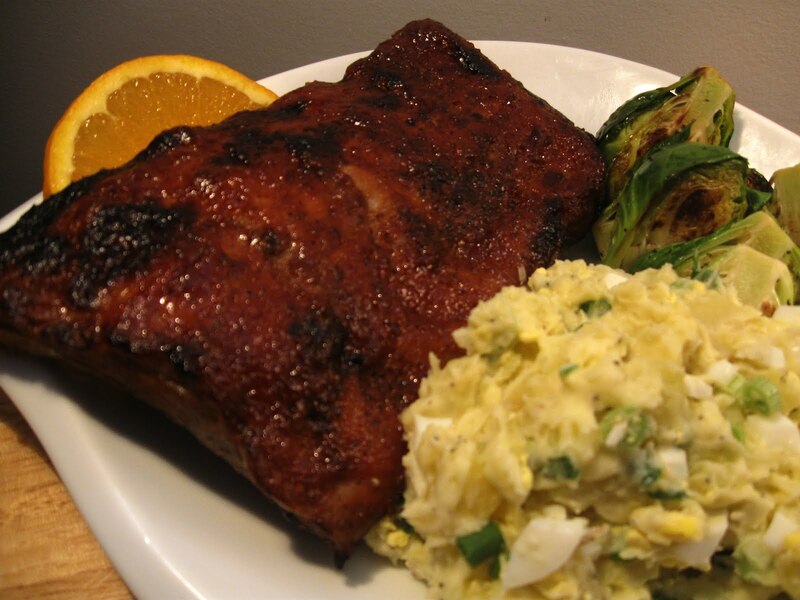 This rib recipe is great because it doesn't require a BBQ or Grill. So for those who live in an apartment, or don't have access to either of those things you can make these in the oven! The high heat of 500 degrees helps break them down and make them extra tender. And all of the water in the dish will help to keep them moist. Just broil them with sauce after to get the char and colour you will want. 1. Brush ribs with oil, or smear around with your hands. And then sprinkle with salt and pepper on both sides. Fill a large casserole dish or pan with 4 cups water, 1 cup soy sauce, pieces of sliced ginger, and maybe some oranges if you have it. 2. Cover dish with ribs with tin foil and put in an oven at 500 F degrees for 1.5 hour. The high heat will help break down the ribs and make them tender. 3. Remove the ribs from the oven, and brush with your favourite BBQ. If you make a homemade sauce yourself it will be even better. (see below). In a small pot, combine ketchup, garlic, soy sauce, orange zest and juice, ginger, brown sugar, and white wine vinegar and cook down until it looks thicker and saucier. When combining the ingredients you want to have a good balance between sweet, sour, salty, tangy... the orange will make it extra special, and the ginger will add some spice to it.